Ensure your CV makes an impact, is error-free and flawlessly written, by a native UK English speaker. We can guarantee a professionally written CV that effectively highlights your skills in clear, refined format, to instantly impress all prospective employers. Ensuring all grammar, spelling & punctuation on CV is immaculate. Rewording and re-structuring where required. 2 Page limit (approximately 500 words). Full report about what was amended. Feedback or recommendations where required. 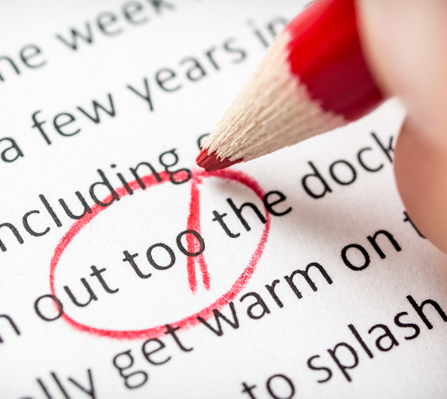 Interested in proofreading for other documents? Click here to find out how we can help.